Looking for something fun and interesting to do in January? 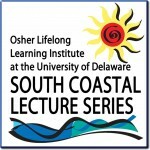 Spend some time this winter learning from some of the region’s most fascinating people, through a special program hosted by the University of Delaware’s Osher Lifelong Learning Institute. The Navy at Cape Henlopen – Learn about U.S. Navy presence in the Lewes area from 1898 to 1996 from Capt. Bill Manthorpe (USN Ret.). The Tuskegee Experiment – Delaware State Legislator and retired educator Don Blakey discusses the first African American military aviators in the United States Armed Forces. Demagoguery in Politics – Hear former CNN world affairs correspondent Ralph Begleiter discuss how politicians appeal to voters’ emotions, prejudices and expectations through propaganda. Ernest Hemingway – The Pulitzer and Nobel Prizewinning author through his four “best” novels: The Sun Also Rises, A Farewell to Arms, For Whom the Bell Tolls, and The Old Man and the Sea. Led by former actor/director Gary Ramage. The Dutch and the Swedes in Colonial Delaware – Enjoy a brief survey of the arrival of the Dutch and Swedes in the Delaware Valley with history professor Mary Emily Miller. Each Wednesday morning will feature two lectures, the first one beginning at 9 a.m., and the second at 10:30 a.m. The registration fee for the full series is $50 per person. For more information, call 302-645-4111 or visit www.lifelonglearning.udel.edu/lewes. Registration will take place through December 12. Registrations will continue to be accepted after December 12 based on availability. The January lectures are a program of the Osher Lifelong Learning Institute in Lewes, which will also be holding spring classes beginning in February, in Lewes. Highlights include basketry, art, history, literature, opera, jazz, spring birding, and an investment workshop. A catalog will be available in December at www.lifelonglearning.udel.edu/lewes. The Osher Lifelong Learning Institutes at the University of Delaware are membership organizations that provide opportunities for adults 50 and over to learn, teach, and travel with their peers. The only requirements for admission are interest in a continuing educational experience, support of the programs through participation, and a modest membership fee. 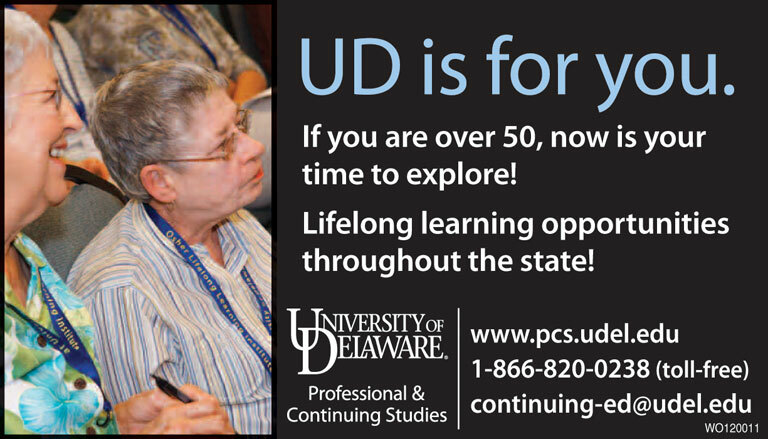 UD’s Osher Lifelong Learning Institutes are located in Wilmington, Dover, and Lewes. ← Previous Story Light Up the Season All On Your Own – No light strings required.